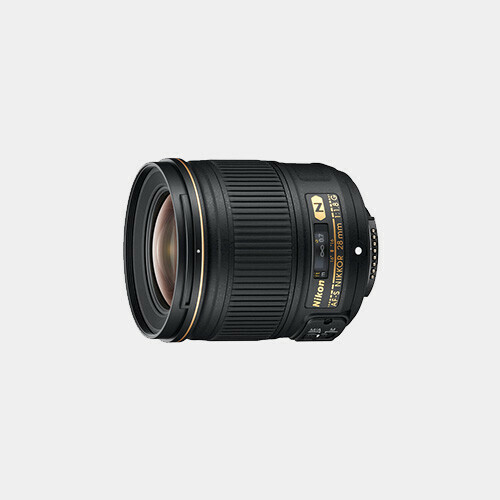 This is a very fast 28mm wide-angle lens for full-frame (FX) Nikon cameras, or a fast 42mm near-normal lens when used with APS-C (DX) cameras. The f/1.8 maximum aperture will keep you shooting and capturing great images (stills or video) after the light gets too dim for others to shoot in. 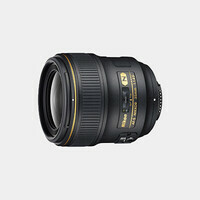 Nikon's Silent Wave Motor (SWM) delivers fast, accurate, and quiet autofocus, especially necessary for shooting video. This lens will focus to an impressively close 10.2" and the 7 rounded blades of the lens diaphragm lend a beautiful quality to the out-of-focus portions of your images.